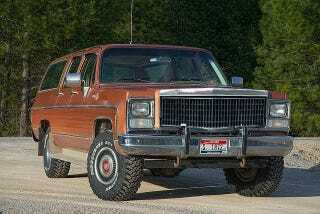 My idea of what an Escalade may have been in 1980. I basically threw a Cadillac grille, hood ornament, and hub caps, plus some wood paneling, of course, onto a 1980 Suburban. Somewhat Wagoneer-esque.